Ten-year-old Comfort Snowberger has attended 247 funerals. But that's not surprising, considering that her family runs the town funeral home. And even though Great-uncle Edisto keeled over with a heart attack and Great-great-aunt Florentine dropped dead--just like that--six months later, Comfort knows how to deal with loss, or so she thinks. She's more concerned with avoiding her crazy cousin Peac… h and trying to figure out why her best friend, Declaration, suddenly won't talk to her. Life is full of surprises. And the biggest one of all is learning what it takes to handle them. 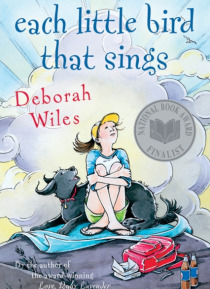 Deborah Wiles has created a unique, funny, and utterly real cast of characters in this heartfelt, and quintessentially Southern coming-of-age novel. Comfort will charm young readers with her wit, her warmth, and her struggles as she learns about life, loss, and ultimately, triumph.